We've been working hard to build great projects with our clients since 1968. To date, we have completed more than 3,000 commercial and industrial projects. From the beginning, we have been unwavering in providing clients with superior quality, value, safety and service. Those principles drive our company to this day. Superior is capable of performing projects both big and small for virtually any industry. We take pride in our ability to provide solutions to our diverse clientele. Planning, design, and construction, Superior Building Systems can handle every step of your project from initial meeting to the conclusion of construction. We are adept at providing design-build and turnkey construction services. Our clients call on us repeatedly because we utilize effective project controls and proficient management to minimize costs and maximize quality and safety. We are experienced professionals and we strive to deliver complete client satisfaction on every job. Superior Building Systems provides design-build and turn-key industrial construction services to many of the most prominent companies in the engineering and construction, manufacturing, oil and gas, power, and petrochemical industries. We have the expertise and resources to perform installations anywhere you need to build across the country. Superior also provides design-build and turn-key commercial construction services to companies of all sizes, in a wide range of industries. Our extensive portfolio of finished projects includes everything from office buildings to retail centers to distribution facilities. We have the expertise and resources to provide full construction services, as well as building expansions, additions, remodeling and repairs. Superior Building Systems does construction, but our value to you starts much earlier in the process. Our team brings a broad range of talents to your project, so you have expert guidance from conception to move-in. We are also experienced in complying with client-defined requirements, including safety procedures, drug testing of onsite personnel and plant orientation. Our staff architect can provide pre-design services to help our clients develop a scope-of-work that strives to provide a cost effective and innovative design solution to meet their goals. Our design and engineering personnel develop the plans and specifications that will guide the building of your project. We handle the entire process, beginning with local permitting. We do the site work including foundations and paving, we erect all structures, spec and install all electrical and plumbing, and complete interior finishing. After more than two decades of service with the company, Mr. McFarland assumed the role of President of Superior Building Systems in 2014. Mr. McFarland’s extensive construction knowledge and experience, particularly with energy-oriented clients, allows him to personally and successfully manage some of the company’s largest projects worldwide. Mr. McFarland is a 1986 graduate of Texas A&M University. Mr. Burke joined the Superior team in 1996 and brought with him a genuine desire to help his clients achieve their goals. Mr. Burke employs his more than three decades of construction experience to successfully manage significant projects for both commercial and industrial clientele of Superior Building Systems. Currently serving as Vice President, Mr. Burke became a partner and officer of the company in 2003, and is a 1986 graduate of Texas A&M University. Mr. Burell’s addition in 2001 allowed Superior to offer a vital new level of design-build construction expertise to their customers. A Texas licensed architect, Mr. Burell designs projects to meet all of a customer’s objectives. His 33 years of experience has given him the insight needed to weigh all facets of the design process including building usage, aesthetics, building code, desired schedule, and budget. Mr. Burell is a 1983 graduate of Texas A&M University. Mr. Swanson became a valuable member of the Superior team in 2001, bringing with him decades of construction experience in a myriad of facets. As Chief Estimator at Superior, Mr. Swanson provides thorough and accurate estimates in line with the goals set forth by clients of Superior Building Systems. His attention to detail aims to assess and minimize overage risks and ensure on-budget delivery of service. Mr. Thibodaux joined Superior in 2006, and quickly became an integral driver of the company’s project management capabilities. Mr. Thibodaux uses his two decades of experience and degree in architectural drafting and design to work intimately with end users on many of Superior’s projects. His unique ability to draw, plan, and design with his clients ensure an end product that is both in line with their goals and optimal for its use, regardless of scope or size. Mrs. Hernaez joined Superior Building Systems in 2012 pursuant to her career in the global financial industry. She has leveraged her experience to build a scalable financial infrastructure which continues Superior Building Systems capacity to build projects of any size. Mrs. Hernaez is a 1987 graduate of Texas A&M University. At Superior Building Systems, we strive every day to deliver value to our customers. We couldn't be more proud that our hard work and results have been recognized by others. Superior Building Systems operates nationwide and holds state licenses in Alabama, Arizona, Arkansas, Florida, Georgia, Indiana, Kansas, Kentucky, Louisiana, Mississippi, Montana, Oklahoma, South Carolina and Texas. Superior Building Systems has also completed projects internationally in Dominican Republic, Ecuador, Guyana, Mexico, and Venzuela. 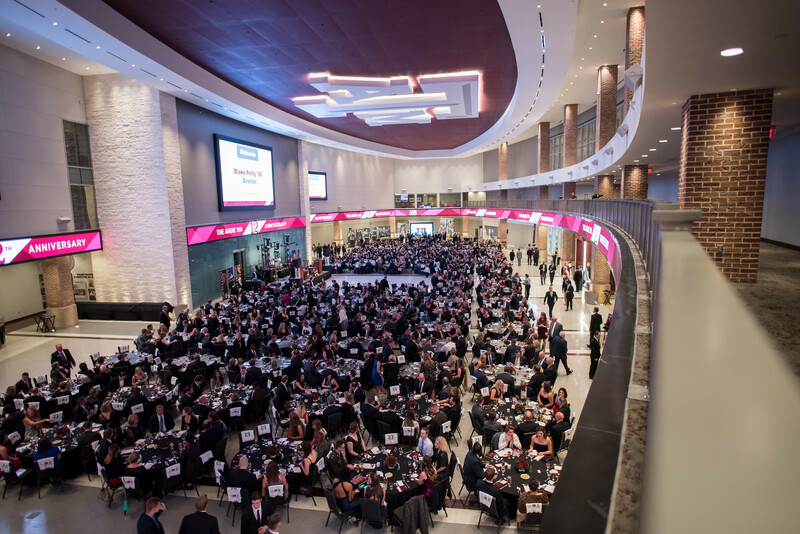 "More than one-third of companies on the 12th-annual Aggie 100 list are based in the Houston area, including the No. 1 company..."
"The 12th Annual Aggie 100, honoring the fastest-growing businesses led or owned by Aggies, included 34 Houston-area businesses..."
Texas A&M University recognized Superior Building Systems of Houston, TX as a member of the 2016 Aggie 100, which honors the fastest-growing companies..."
Superior Building Systems is a design-build general contractor located in Houston, Texas.